The automobile market has changed since the Great Recession. As prices skyrocketed, more people chose to lease instead of buy vehicles. As the economy has slowly been recovering, banks and automakers are finding new ways to gain new customers. A recent Automotive News article stated that banks aren’t the only players in the auto financing game anymore. Big motor corporations like Toyota Motor Corp., Ford Motor Co., and Honda Motor Co. have also staked their claim in the auto financing game. According to the report, banks have started to finance used cars in order to stay in the competition. However, not everyone is seeing automakers’ aggressive push and incentives and as a good thing. While bolstering sales and loan numbers is good for business, industry analysts are beginning to question the long-term benefits of these programs. If interest rates rise, incentives could prove to be harmful for automakers and can negatively affect profits. 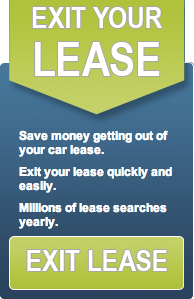 Why worry about being stuck in your lease when there is a simple answer to getting a new car? Release yourself from your current lease and let someone else take it over. Swapalease.com is the leading online lease market place. They have helped hundreds of individuals successfully transfer out of their lease, saving time and money. The process is simple and easy. When it comes to purchasing or leasing a car, consumers are confused about which option will be better for them. Forbes recently released an article expressed that the average lifetime for an American car is 11.4 years. Sure, cars are lasting longer, but people are also very interested in changing into a different vehicle more frequently. With the economy stabilizing and consumers recovering from the Great Recession, car sales have slowly started to increase. 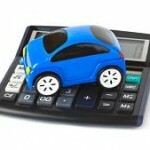 A recent WalletHub survey reported that since the beginning of 2012 auto loan rates have decreased about 10%. Since most Americans will be looking to get a new car, now is the perfect time to get a new car as dealers roll out some of the best deals of the season. You can also find great deals online, or at least use the Internet to comparison shop on the right lease deal. The report also acknowledged that dealerships aren’t the only place to get a loan. Credit unions offer loans with as much as 40% lower interest rates on new cars and up to 44% lower loan rates on used cars. Most dealers’ loan lengths are capped at 72 months, while credit unions offer longer terms, 96 months for new cars and 84 months for used cars. But why get stuck paying for a car for seven or eight years? Swapalease.com offers individuals alternatives to buying a car. Just as we like to have the newest and latest phones, Swapalease.com allows individuals to transfer their lease and be in the next car of their dreams. The days of getting locked into a long-term contract are slowly getting left behind and are being replaced by convenient, affordable, user-friendly deals. As more and more people find stability in this economy, they are becoming increasingly confident in their consumer purchase power. Moreover, as more Milennials are entering the adult world and are purchasing their first cars and homes, loan terms and lengths have changed to help make these commodities more affordable. Though longer loan terms help make things more affordable, it also raises the auto debt which has been climbing steadily. Though longer loan terms help first-time buyers and individuals with less than perfect credit afford a car, it doesn’t necessarily mean that they will be able to meet those expenses later on. Experian Automotive acknowledged in a recent Money News article that Americans will pay for a new vehicle for roughly a decade. What does this mean for auto debt? The down side of having a longer car loan term means that individuals can find themselves upside-down on their loan down the road if they want to trade it in early. Though experts have kept their eye on the auto market to watch out for any red flags, they haven’t seen any. Others argue if consumers were able to afford a brand new car, they wouldn’t be signing up to pay for it for the next few years. Another option is to lease a vehicle. Why get trapped in a long-term loan by purchasing a car when you can simply lease one for a shorter duration? Instead of being stuck with the same car for the next few years, you can drive the newest models year in and year out. Swapalease.com is the lease market place for the digital world. By matching individuals looking to get out of their lease with individuals wanting in, they facilitate the lease transfer process. Swapalease.com makes it easy for you to get into the car you want and not spend any more time and money on your current vehicle. For more information on finding the best car lease deals or to learn how you can have a successful car lease trade, contact Swapalease.com at 866-SWAPNOW. Most students graduating now are Millennials, born between 1980 and 2002. Accounting for more than 80 million in the population, Millennials now outnumber Generation X and Baby Boomers. With so many people graduating this year, what should you give as a graduation gift? Something simple – help grads get rid of their car. According to the National Retail Federation, Americans are on track to spend over $4.7 billion in cash, gift cards, clothing and electronics for graduates this year. They’re also facing a still-tough job market. Today’s crop of new B.A.s are staring at roughly 8.5 percent unemployment and 16.8 percent underemployment, according to the Economic Policy Institute. With student debt exceeding one-trillion dollars, it has surpassed credit card debt in America. Recent graduates need to find ways to cut down their costs and transferring out of their lease might just be the answer. One viewpoint is to get them out of their current car payment so they can either downsize or participate in car-sharing programs. Too practical? Perhaps. But going against the grain might be the best option, and it’s also a growing trend nationwide. According to Swapalease.com, roughly 9.6% more college-aged users are expected to shed their car lease this graduation season compared with the same time last year, and up 13.4% compared with 2012. Why such a savings? They avoid breaking the lease by handing it over to someone else, and the monthly car payment stays in their pocket. According to Swapalease.com Executive VP, Scot Hall, this is a trend that’s expected to grow as long as student debt remains a pressing issue. As for the need to drive to a job interview? Get a cheaper car or share a ride with a friend. How can you help grads in the near term so that they’re a better customer down the road?